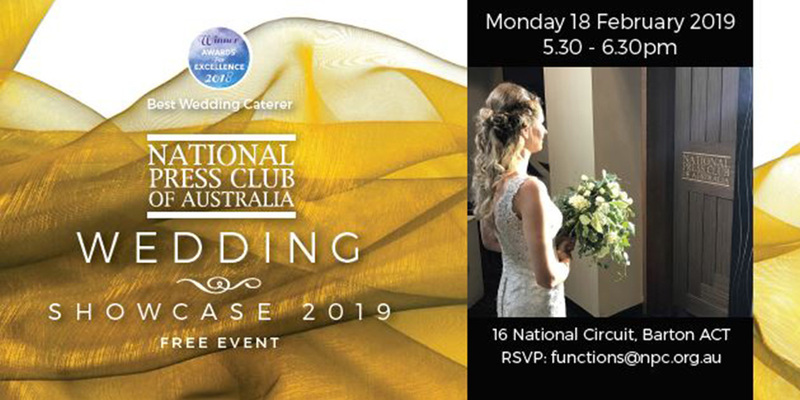 Join for the National Press Club of Australia Wedding Showcase! A fabulous opportunity to see their venue up close and personal with the National Room all set up. The brilliant functions team will be there to answer any questions you may have. Meet expert event professionals & preview the hottest trends in table design, event styling, catering, music & more. There will be canapes & drinks on offer, as well as giveaways & special offers. You will get the chance to Win a Cocktail Party for you & 5 friends to the value of $200!